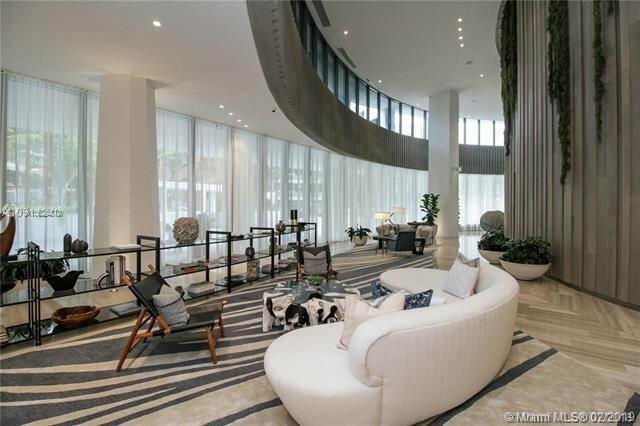 Park Grove is a luxurious new development surrounded by five acres of private gardens designed by Enzo Enea facing Biscayne Bay.This two bed, two bath plus den corner very spacious unit has marble floors and 10-foot ceilings. Unit comes with outstanding Italian style chefs kitchen with top of the line appliances including Wold and Sub-Zero. Built in closets! Two balconies! 500 feet of bayfront pools, exclusive rooftop pool, private screening room, fitness center and much more.